These resources provide the necessary information to successfully manage the administrative and programmatic requirements throughout the life cycle of a BTOP grant. The documents and links provided include introductory grant information, community outreach resources, and other relevant materials. NOTE: For American Recovery and Reinvestment Act (ARRA) guidance and Department of Commerce grants policy, go to the Compliance section of this site. Below is a comprehensive list of all post-award recipient fact sheets. Click here for a zip file of all fact sheets. ARRA Reporting Fact Sheet (updated August 2010) – See the Reporting section for more information. Buy American Requirement Fact Sheet (March 2012) - See the Department of Commerce Grants Policy and Guidance section for more information. Contract Flow-down of Award Terms Fact Sheet (February 2012) - Overview and guidance for recipients incorporating certain terms and conditions of their BTOP awards to contracts negotiated with a contractor or vendors. Davis-Bacon Act Requirements Fact Sheet (updated July 2012) - Explains ARRA requirement that BTOP grant award recipients, subrecipients, contractors, and subcontractors comply with Davis-Bacon Act wage requirements. Endangered Species Act Fact Sheet (updated August 2010) – See the Environmental Compliance section for more information. Federal Interest Requirements Fact Sheet (updated July 2011) – See the Department of Commerce Grants Policy and Guidance section for more information. Historic Preservation Act Fact Sheet (updated September 2010) – See the Compliance section for more information. Indirect Cost Rates Fact Sheet (November 2010) - See the Department of Commerce Grants Policy and Guidance section for more information. Non-Duplication of E-Rate Funding Fact Sheet (June 2011) – See the Financial Requirements and Cost Principles for more information. Program Income Fact Sheet (January 2012) - See the Financial Requirements and Cost Principles section for more information. Recipient and Third-Party In-Kind Contributions Fact Sheet (updated December 2011) - See the Financial Requirements and Cost Principles section for more information. Useful Life Schedule Fact Sheet (August 2010) - See the Department of Commerce Grants Policy and Guidance section for more information. Uniform Commercial Code (UCC) Documentation Renewal Process (August 2014) – Checklist to assist recipients in understanding their obligations under the BTOP grant award regarding the UCC renewal process. Ongoing Post-Closeout Requirements (February 2015) – Guidance to help recipients understand their ongoing obligations after their BTOP award is officially closed. Each recipient must comply with various requirements over the life of the project, from accepting the award through project completion and award closeout. These documents contain initial award information and serve as reference guides for general questions and information about the grant completion process. Round 1 Recipient Welcome Packet (Public Computer Center and Sustainable Broadband Adoption Recipients). Round 1 Recipient Welcome Packet (Infrastructure Recipients). 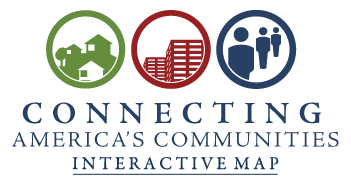 NTIA encourages recipients to implement community outreach activities and build relationships with local residents, community anchor institutions, businesses, schools, public safety agencies, and healthcare providers. The following toolkit provides ideas and tools for implementing outreach activities that can fit project goals, reach stakeholders, and deliver key messages. 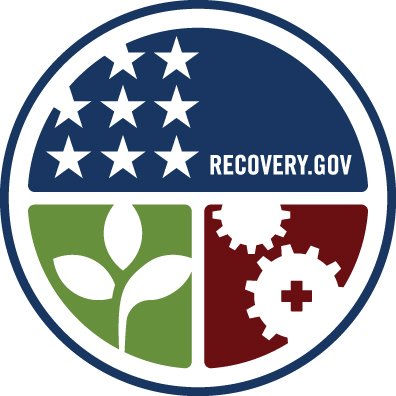 Projects funded by the American Recovery and Reinvestment Act (Recovery Act) can use the Recovery Act emblem. This emblem is a symbol of President Obama’s commitment to invest tax dollars wisely to put Americans back to work. All projects that are funded by the Recovery Act shall display signage that features the Primary Emblem throughout the construction phase. The signage should be displayed in a prominent location on site. Some exclusions may apply. The Primary Emblem should not be displayed at a size less than six inches in diameter. Grantees may satisfy the signage requirements above by using the Primary or BroadbandUSA Emblems shown here and following all guidelines for size, clear space, and color. Complete signage and graphics guidelines are provided below along with camera-ready, high-resolution emblem artwork TIF, JPEG and EPS formats. Signage Guidance Fact Sheet – Detailed recipient guidance for meeting BTOP signage requirements (updated September 2010). Additional Uses of Recovery Logo Fact Sheet – General guidelines and specifications for using the Recovery Act logo and the BroadbandUSA emblem in project promotional and informational materials. Graphics for Recovery Act and BroadbandUSA emblems. Over the course of the application process and post-award project completion process, conflicts of interest may arise. This document identifies potential conflicts and offers suggestions on ways to mitigate any potential issues. Each recipient may work with subrecipients, contractors, and vendors for assistance throughout the course of the awarded projects. The following documents provide guidance on role determination and the associated requirements. 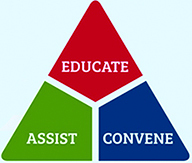 Federal Assistance Law Division: It’s the Law, Volume 13, Subawards or Contractors – Describes differences between contractors and subrecipients, and reviews the requirements that apply to each group. Subrecipients and Contractors Fact Sheet (updated August 2010)– Compares subrecipients and contractors to help recipients determine the role of project contributors. 700 MHz Low Risk Project Fact Sheet (May 2012) - Overview of public safety 700 MHz project investments that are likely to be at a lower risk of being incompatible with the ultimate nationwide network. BTOP Public Safety Broadband Fact Sheet (May 2012) - Frequently Asked Questions for conforming existing state and local 700 MHz public safety projects with the nationwide public safety network. 700 MHz Public Safety Projects FAQ - Frequently Asked Questions for completing negotiations with the First Responder Network Authority for use of its 700 MHz public safety broadband spectrum.